It was in 2008 that we first flew from Stansted to Weeze (pronounced Vetzer) on one of Ryanair's one penny flights. After I wrote a story a story about it for the German news site The Local on the delightful the town of Kevelaer, which is a twin town of Bury St. Edmunds, and the nearby family theme park Irrland and the efficiency of the local public transport, I was contacted by Kevin Betts, the proprietor of Kevin's Pub, a guesthouse in Weeze saying if I ever came back, he'd like to show me his small hotel and bar/restaurant and have me try his canoes on the Niers river. It was a tempting offer but unfortunately my efforts to promote Germany to British tourists must have worked too well as within a year the traffic to Niederrhein Airport, the former RAF Laarbruch (pron. Larbrook), had increased so much, the one penny fares were now like hens teeth as people discovered the airport was a cheap gateway to Europe. Google hits on my newspaper story and blog entry brought me all sorts of enquiries on connections with the German and Dutch train network - which are very good - and Ryanair's rather deceptive advertising about its proximity to Düsseldorf. One day we thought it would great family fun to go canoeing somewhere like the Lake District but after working out what that would cost in the UK, another visit to Germany seemed very attractive. 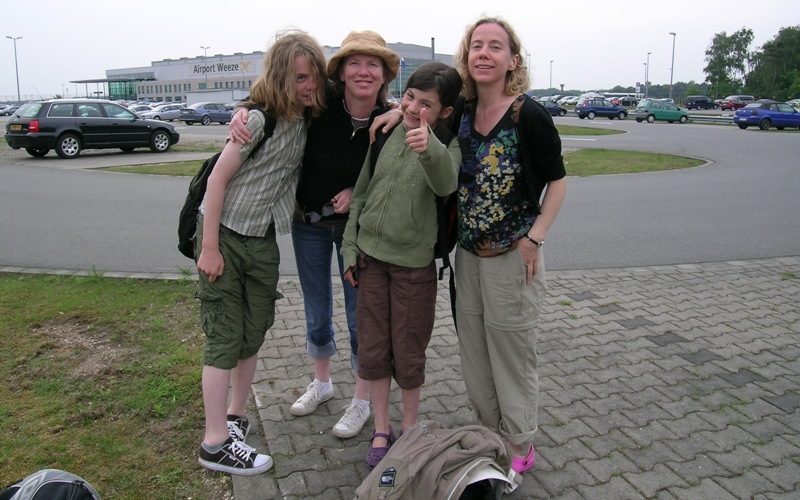 So in June 2010 we made our second visit to Weeze; planning on a sparrowfart departure from our home in Suffolk to catch the 7:20 AM from Stansted and returning on the 20:15 the same day as we had done before, costing us a very reasonable £15 per person each way, once we'd got ourselves a euro debit card. 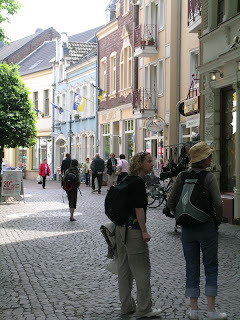 We also invited along a travel writer keen to practise her German because I had noted in our prior trip, British visitors to the area are so few (perhaps for reasons we mustn't mention!) there is very practically no tourism information provided in English yet everything is dutifully reproduced in French, Dutch and Belgian. There's not much point in hating on Ryanair as everyone does it but even if Saile & Sabga coffee is Fairtrade, this instant coffee Ryanair serves is utterly vile and 3 euros too. I'd fire the expert who thought this would be a good way to promote their brand. Perhaps they know Ryanair passengers don't expect a pleasant experience, they just want the result they paid for. In this case a jolt of caffeine is all you should expect. On arrival at Weeze we noticed things had really changed. No longer was the airport deader than a rural market town on a Tuesday night but the queue for the taxis snaked around the terminal. We had figured a taxi was cheaper than five bus fares and it would be faster so we passed up the hourly bus into town, at least the line was moving. Wrong decision! It took nearly an hour to just to get within single figures of passengers ahead of us. The stream of taxis arriving at the airport became a trickle and then suddenly dried up and we waited for another half an hour while no more taxis arrived. I learned from an airport employee that taxi drivers come from far and wide to collect passengers at Weeze and many are going over the border to the university town of Nijmegen or Düsseldorf with their fares but there aren't that many local taxi companies. There was a big religious festival starting tomorrow so today was their busiest of the summer. With the clock counting down I rang Kevin to say we'd be late for our planned arrival. Kevin said "why didn't you say so..." and he jumped in his van and collected us. Driving around the abandoned air base (its beautiful desolation captured here) Kevin told us that he was originally from Cornwall but stationed here as a young military policemen he'd married a German girl and never felt since he wanted to go back. The Royal Air Force Station Laarbruch was one of four 'Clutch' air bases of the British air forces in Germany during the Cold War. There's a museum with lots of memorabilia and a Bloodhound and Rapier missile, a ZPU2 AAA gun and Canberra and Buccaneer cockpits. The base motto was "Ein Feste Burg" or in English: A Party Town! British Forces News have a story about the base closure and redevelopment that either Youtube or Blogger won't let me embed. We got to Kevin's place in under five minutes from the airport to be greeted with a warm welcome from his family and a full-on traditional German breakfast of fresh rolls, meats, jams and boiled eggs, all done to perfection and lots of good coffee. Kevin talked us through what sort of canoes we'd like to use - he has Canadian and kayaks - and how far we wanted to paddle and then suggested an itinerary for us. After a tour of his place and their 'Hay Hotel', a big barn you can bed down in straw for a few euros, we set off for the Niers and a thorough briefing on river safety. He also provided water tight drums to stow our gear. Within five minutes we'd seen otters playing in the water. We paddled downstream and the river was wide and placid and without motorboat traffic. All of us are good swimmers and the water was not very deep so we felt comfortable dispensing with life jackets and helmets, though I wouldn't do that on the Broads. Within five minutes we saw our first family of otters in the wild, scampering about on the bank and playing in the water, something that would be truly remarkable in the UK. They are just as cute in the wild as they are in the sanctuaries they need in Britain. I'm not much of a twitcher so I couldn't identify all the copious wildlife we saw apart from swans and ducks but there are grey herons which are huge when you get close to them. Paddling a Canadian canoe is quite easy although it does take a lot of coordination between the front who has to be the 'engine' and the rear to be the 'driver'. Along the banks were herds of cattle - destined for bratwurst we think - and several impressive schloss and orderly plantations of oak trees lining the roads and willows creating shady banks. Happy families like ours cycled past on the path. According to a river guidebook, a little way down stream a sign says: "Dear paddler, you have reached a renewed river, please stop and drift a while for the best view." Our stop was to be the town of Kevelaer. Here under a road bridge was a dock where we pulled up the boats and left them on the bank as Kevin had told us, he was confident the local NEETs wouldn't bother to take them for a joyride. I wondered if any towns like that existed in England. We then strolled around sightseeing, the first stop on the kid's itinerary was to hit the shops for chocolate. We found a legacy of a massive British presence here for last forty years was most of the local's speak perfect English. Once sated, and as we had visited the town before, we quickly ticked off the must-see sites like the museum and then headed to do what we'd unfortunately missed on our first visit, to have lunch in the Golden Swan. It was a lovely lunch and and their schnitzel we sampled for the sake of being a typical tourist was perfect and the sun was shining. As we sat in their pleasant garden the kids were amused by a playground and we started to feel the fact that we'd got up very early that morning. The restaurant staff were very attentive and so yes, we'll have another round of beers, thank you. The Golden Swan is what the English call a country coaching inn; it has rooms and it offer both formal and casual dining and it even has a traditional bowling alley. We reluctantly dragged ourselves away to get back to the boats and stowed coats which were just as we found them. When back on the water we found after a while we were making slower progress than we had the morning, a change of engine and driver still needed more time to work it out but, being siblings, neither going to concede control to the other. The uncertainty of getting back to Weeze and Ryanair's strict rules about check-in times began to concern me. I rang Kevin to describe where we were, we had just passed a chain ferry, and he sounded doubtful we'd get to our planned meeting point at Geldern about two miles further but we would soon be coming up to another dock and if we stopped there, he'd collect us. It took another half an hour of paddling and by then the portaloos there were a welcome relief for the girls. Kevin quickly loaded us all up and took us back the pub to wash and settle up and he then took us to the airport bang on the latest check-in time. We said our goodbyes. By then he'd done more than enough to deserve a good write up on Tripadvisor. Weeze airport's security, customs and immigration halls are akin to a country train station where a solitary stationmaster is the ticket clerk, porter and crossing guard so you can pass through in a minute but then you have nothing to do on air-side to wait for hours for the plane to arrive. Unless the airport is very busy, it's best to wait on the ground-side until you're absolutely certain your plane is incoming by checking with flightradar24.com. But whatever you do, don't be late for the check-in time on your ticket. Our plane ended up being an hour late but the departure board just repeated the same lie of imminent arrival over and over. 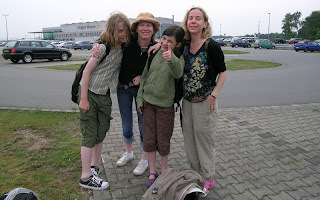 Not wanting to stop at Stansted airport or en-route for supper, we were mighty thankful for Kevin's wife pressing on us the leftover 'aufschnitt' and rolls and so had a picnic in the departure lounge. For two airport transfers, portage to the launch and collection, hire of 2 three-seater canoes and a full breakfast - all done on his Tuesday day off - we had paid 120 euros including tip. For an utterly memorable day out for five people, that is unbeatable. I appreciate inflation may take its toll, your mileage may differ. All-in it was less outlay for us than a recent trip to Alton Towers. Far be it for me to suggest this is the best itinerary but given the public transport links: seeing the RAF museum and a day at Irrland, overnight at Kevin's and a day on the river and sightseeing in Kevelaer would be a great two-day family break. I should book now for half-term. There are many other attractions nearby I would like to explore myself including Wunderland, a massive theme park-hotel complex inside an unfinished power station. If you live in reach of Stansted, Leeds or Edinburgh and you're really canny, you can also use Weeze as stop-over as there are plenty of bargain flights from here to Portugal, Italy, Spain, Greece and other places that British, Dutch and German holidaymakers seeking sunshine go to. 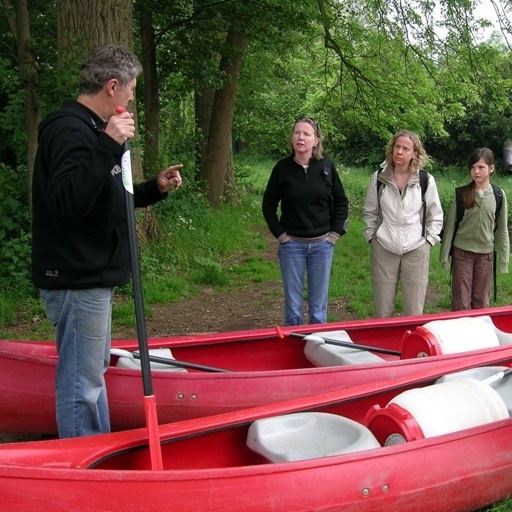 Kevin's canoeing season starts on the 15th April and runs until the 15th October. The Niers is a river in Germany and the Netherlands, right tributary to the river Meuse. Its source is near Erkelenz, south of Mönchengladbach, in North Rhine-Westphalia (Germany). The Niers flows through Mönchengladbach, Viersen, Wachtendonk, Geldern and Goch before flowing into the Meuse just across the border with the Netherlands, in Gennep. Its total length is 116 km - 108 km in Germany, 8 km in the Netherlands. 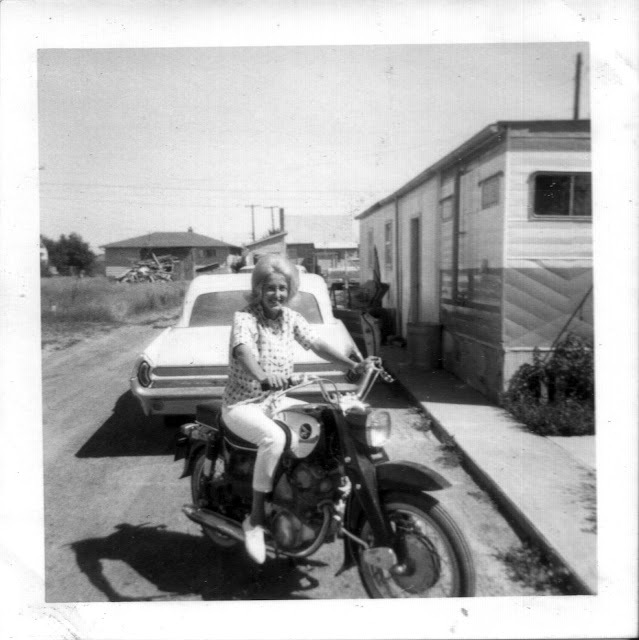 Montana: Sandie on a Honda Dream with her 62 Pontiac convertible. This is a photo from an album I found lying in the street in Venice California around 1992. The album was begun by an unnamed woman who lived in a modest housing development in Los Angeles. She is married to always smiling man called Bob and she has just had her first child, born around May 1965 I am pretty sure. I used to call this woman "Barb" but now I know she is called Sandie. Once I'd dried the album and the loose photos - its covers had been ripped from it - I filed it away with the California ephemera I've collected from thrift stores and yard sales. Once in a while I used to take the album down and look at the photographs to see if any new clues about who it belonged to would come to me. Until very recently the internet didn't yield anything and I didn't have the means to scan pictures to send to them to people. Also it wasn't a project I was devoted to, I have plenty of other things to do, but the album and the story of how I found it was a story I sometimes told my friends with an interest and knowledge of California and we considered it an artefact of urban archaeology. Its provenance assured us this was an honest and artless account of the life of a suburban housewife at a turbulent time in American history. A few years after this I started my own family and we began making our own albums and so I would think of Sandie and what the loss of such a family album might mean. My partner was there when I found the album and recalls there were clothes and all kinds of trash strewn in the street, as if someone had been turned out of an apartment or had just thrown everything in a dumpster - which being in Venice, the many homeless people there would have rooted through and scattered in a second. Her concerns echoed mine: nobody throws away a family album, something bad might have happened. I am not so pessimistic it was because of a tragedy. Venice is a wild, bohemian and transient kind of place. People can get mixed up in things there. Even good people can get ill, which can lead to debts, and landlords can be pretty brutal if you get behind with the rent. Sandie's photo journal tells us she went to a parade in Hawthorne CA, to Disneyland with her girlfriends, there were celebrations of Christmas and Thanksgiving and vacations in Montana, visiting the family farm of her in-laws which includes a log cabin an ancestor built. Bob can water ski, he likes to keep fit with weights. They look to me like a hard working blue-collar family; Bob's shirt sometimes has a plastic pocket protector with a logo (too blurred to read) and he only wears a tie for church so a wild guess would be he worked in the defence industry or space programme. He takes the head gasket off the car without that look of despair there would be when something is broken, so I guess she took a picture because she is proud her man is handy with tools. She evidently dotes on her baby daughter and seems blissfully happy making a home for her family and she enjoys her casual social life of barbecues around their backyard fire pit, noting the minutiae of her life and of her friend or sister Carol with funny captions in white paint onto black sugar paper with a neat cursive hand. She and Bob are attendants at the wedding of Butch and Elaine which seemed a modest affair with a casual buffet rather than sit-down catering. Butch is in a US Army uniform and Elaine seems very young, though plenty of people married right out of high school back then. Perhaps he had enlisted or was drafted, that was really going at the time, and so they got married before he went to Vietnam? He looks tanned so perhaps he was on leave after basic training? He resembles Bob a bit so he could be a brother or cousin. Money was probably tight at times; the Christmas presents aren't extravagant. Her "birthday and Christmas present all rolled into one" is new furniture. The story ends when the last pages of the album are filled with colour film and the arrival of another child around September 1967. Why then, some twenty years later, does this happy family album end up torn and waterlogged in the road? I scooped many photos off the street being scattered by the wind; so many captions are for missing photos and with some photos it's hard to work out where they really belong. Every photograph invites us to construct a narrative. Based on these characters and their adventures in the album I can construct my narrative of their lives and project it into the future and I suppose someone else would construct another. Most of the people are given first names in the album except the author, so we used to call her "Barb" because it sounded right; their friends would have called them 'Bob 'n Barb'. In the intervening years I travelled a lot in California and visited Montana and South Dakota, spending months in Rapid City working on a movie about Wounded Knee and I came to love the place and the people. It’s amazing with what little information you can identify something when you know something well. Just a fragment of the profile of a hill or road can be recognised IF you know it. The archaeologist can identify the whole pot just from the broken sherd because every curve is familiar to them. Something that intrigued everyone who read Sandie's book was what did she leave out of her story? Is there any relevance on how she is telling her story now? I don't suggest anything sinister; it's just that all truth is mediated and manipulated by the author. What do we leave in and leave out and how does time filter and mediate that too? These are topics people can write PhDs on. This suggests to me an interesting idea for a film. With the freedom to invent dialogue but constrained to use exactly the same cast, props, and locations, and if every version had to share the same photographs, what stories could a variety of writers tell? I have found other albums and identified their subjects before but I haven't yet reunited them though I've tried and spent time and money on it. I have also reunited people lost to each other for sixty years. This distant life of Bob and Sandie is rich and interesting and our relationship is perhaps just as real and strong as if I had really known them all along. I have hundreds of pages of my late father's writings and the sheer density of the information cries out for a few more photographs to construct the missing context and narrative for them. The eldest child must be mid-forties now. A possible clue to her unusual name was that it was a character in Dr. Zhivago and the film was released in 1965. It's a slight coincidence that my late sister was called the same name, so I understand the appeal of her mom giving her an exotic Russian name. It would be quite interesting to trace them. I can only extract a few clues and I've given most of them here but I don't have the time to follow them. Some people do though so I thought I would enlist them. Having watched the FBI do it, a law enforcement officer could search the title histories of the cars in the album to establish a few leads. It's amazing how much narrative is encapsulated in six or seven letters of a license plate. I think the Pontiac convertible is California LIZ 355. I doubt it can be done by the public through the DMV as that would be an invasion of privacy. The kid's names are unusual and the birthdates are pretty clear, their mom gives their ages in months with the date of some photos so it would be one month either way. I don't have access to the California Birth Index because you have to pay for it but some libraries do. Given the number of family photos taken in Montana, the children could have been born in Montana. If her mother is from there, she would probably want to be around family for the support with their first newborn. I can't recall exactly when I found this album. I lived in Los Angeles from 1983 to 1999 and in Venice from 1985 to 1993 and I recall I found this album towards the end of 1992. I have posted this blog entry so I can link emails to it and make some enquiries. It might make a nice Christmas present if I can find this family. John Baker of Hawthorne's Cougartown website has offered to help out. However there's no hard evidence this family lived in Hawthorne except the parade photos. It could turn out they just visited friends or relatives there. I've looked very hard for local clues, any street sign or a house number but I don't see any. The front garden is identical to many thousand others. I think they rented an apartment at one time because early on Bob snaps a pregnant Sandie sitting on the car in front of a group of garages where a sign says "no car washing or ball playing". A newspaper a baby is holding in one picture in the back yard is definitely the Los Angeles Times of July 1965. The parade photos were taken on the corner of 132nd Street and Hawthorne Blvd. outside Green Farms Barbecue which apparently was then owned by a Sid Schwartz and had a huge rotisserie in the window. It's gone now but amazingly Phil's Bike Shop a couple doors down is still there. Did they buy the Murray pedal car there? List price was $26 back then. Since I first posted this blog entry and made some enquiries, I have had a few leads from people familiar with Montana. And that inspired me to peel off a few photos to look at the back. All of them are blank but one colour photo was a different format to the others (I've cropped it) and it was of the family seen on fishing trips in Montana in the album. Lo and behold, on the back it says 'Bob & Sandie' as if someone might have written that on the back to send it to them as Bob and 'Sandie' are not in the photo. So I think it's a pretty likely that "Barb" is actually a Sandie. Sandie is really a brunette. After the birth of her child she goes blond. I guess the chemicals weren't too good for you. Carol also changes her hair colour. There's a child relative who is five years older than Sandie's eldest who has many individual photos. Bob is about 15 years older than his nephew Zane who is pictured with him at an ancestor's log cabin in Montana. 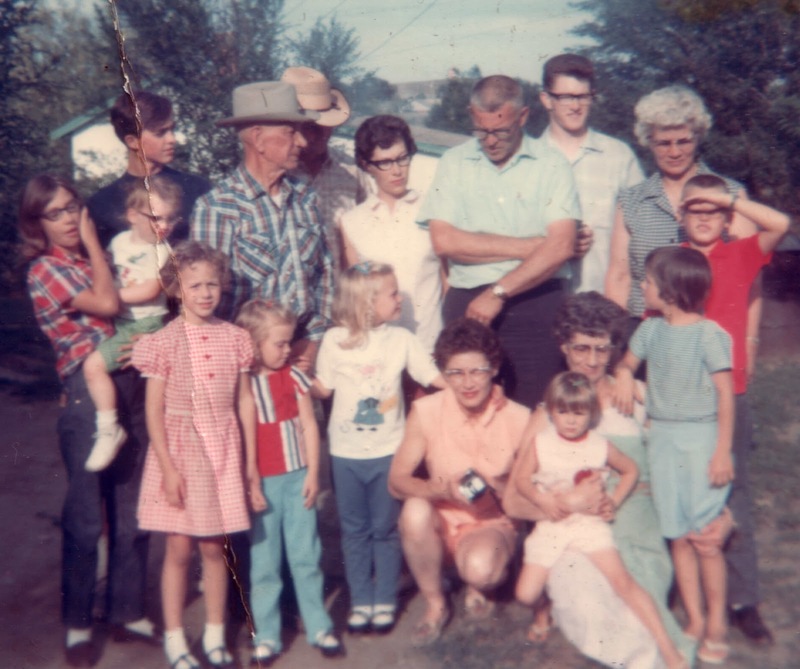 She and Zane are grouped like a family photo with people called Monte and Alice taken at a modest rural house (it has unpaved roads) in Montana just before Bob and Sandie were leaving to go back to California. Monte looks ten years older than Bob and is dressed for ranch work. Her best friends or sisters are Carol and Diane and they turn up at every party. Jack and Nancy gave a birthday party for Bob. The following year, if the album is in chronological order, Bob had another summertime birthday party which was a luau that Sandie took a lot of trouble to decorate for. Carol might be Carol Jean. One grandfather could live in South Dakota, from the newspaper he's reading while fishing. In most of the photos the car they have is a white 62 Pontiac convertible. Only in the end of the book is one photo of the Buick Skylark. It might not be theirs but if you were proud of your cute kids and their new red pedal car, you might put them in front of Dad's big red car too. According to a caption to a missing photo Bob drives a truck. No indication if it's a pickup or a work truck. Anita and Larry are around the same age and lived in Great Falls, Montana and had a small ski-boat around 1965 registration MT720APD. Bob and Sandie and the extended family went fishing and water skiing with them. I'm working on the leads in Montana, given the sparse population it's a lot easier to check records there. I could put more pictures up but for now I think this is what's acceptable considering there may be a wish for privacy. Until we know, we don't know. I think I've found them. I got in touch with Scott Thompson, the city editor of the Great Falls Tribune in Montana. I've always maintained that if you can't afford a P.I., ask an experienced journalist. He gave me a clue from a license plate (not listed here) on where to look. I'm afraid I can't say more than that just at the moment. The trail runs cold a decade ago but there's a very good chance that relatives of Bob and Sandie are still living in Montana. All the names in the album, although most of my suppositions of their relationships were wrong, can be tied together in a small county. You only need to know the right county and the right state and google will find them, so I'm omitting how I tracked them down but it wasn't possible until very recently. Of course, these people forever young in the album must be nearing their 70's now. Bob's parents - if my hypothesis is correct - have died but my conscience is clear I would never have found them before now. At this point I need to go back and check all my facts carefully before I contact them. I don't want to cause any upset if there's an unhappy explanation or get the wrong people. Sometimes people want to shed their past. My poking around may have already alerted them already so they might choose to contact me or may at least be prepared for my call. Through the Cougartown pages I was contacted by genealogist Denise Spurlock of Ancestral Trees Research who very kindly looked some things up. Her confirming of names has been a great help and it looks as if I am on the right track. Robert and Sandra were married in 1964 in Los Angeles County. Their daughter was born in April 1965 in Los Angeles County. Another daughter was born August 1967 also in LA County. I've rung Robert and Sandie's and Larry and Anita's phone numbers that I could find but they don't work. It may be the directory I've used, they're from those 'People Finder' websites that offer tantalising promises of results after signing up to monthly billing which I can't really justify. The youngest child seems to have married and I rang her number in California in the White Pages and left a message with my email. Ringing people at random from the UK is expensive and the time zone is all wrong. I'm eight to five hours ahead. I am asleep by the evening in the USA when you would likely catch someone home. Sifting the messy information from the white pages I have managed to find them on Facebook. I can establish all the same connections I had made before, so I've just emailed the youngest daughter. I hope the family are comfortable with talking to me. Anything that's said in confidence will remain so. It's just impossible to enlist help without putting it here in public. I have located an address and email for Robert and have contacted him. Just before I found him I contacted someone who turns out to be a cousin who keeps records of the graves of their mutual ancestors and tends to their presence online. He's confirmed I have found the right family and gave me some bad news. I am sorry to hear from him that Sandra has passed away. This became something I suspected when I located her daughters on Facebook and while the still smiling Bob was referenced by both his daughters and his now grown nephew Zane, there was no images or mention of Sandra in their timelines. I would never have found that out until now as their online presence is fairly recent. The youngest daughter (and later her sister) have been in touch with me. After his retirement her mother and father had moved to Las Vegas, Nevada. Her mother Sandra passed away in 2007 from throat cancer but her father now lives back in Montana. It's been an interesting forty years. 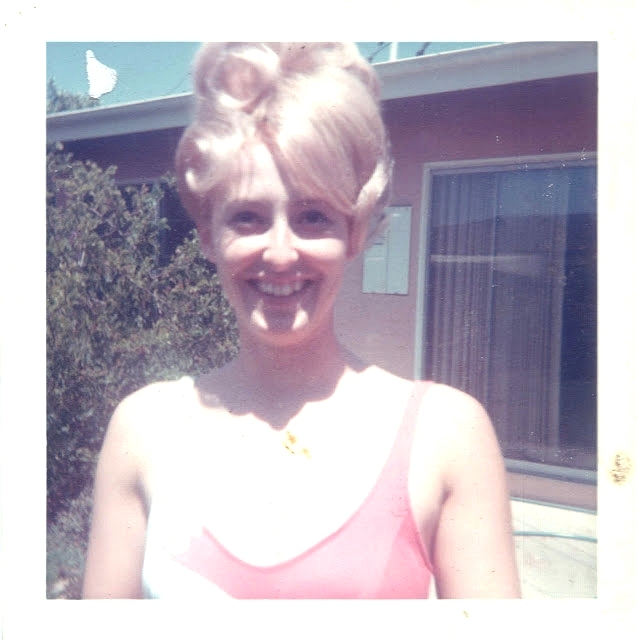 Sandie was from Toledo, Ohio and moved to California when she was 14. She has one surviving sister who is the Carol Jean in the album. Sandie was a cosmetologist. She was extremely active in local programs for the education of children. She was the president of the PTA. Bob had worked for the retail clerks union since he was about 23. He retired from the grocery store business about four years before Sandie died. Sandie was sick for many years and he was devoted to her and kept journals of every single day of her care. He documented what she ate, how much she weighed and when she took her medications and whether or not she went to the bathroom that day. Sandie was Bob's first and only love. Of five children, Bob was his mother's favourite, even though parents are not supposed to have favourites. He was extremely active in school. He played football, basketball, track and wrestling. He lettered in all four sports. He was in the band and played the trumpet and was quite admired by many girls. He was an artist for the yearbook. After graduation with only $20 dollars in his pocket he set out on his motorcycle and rode all the way to California. His older brother had a tire business and he began to work for him. This is how he met Sandie's brother. He was later introduced Sandie while she was out to dinner with her parents, it was just before Thanksgiving. When her Sandie first laid eyes upon her Bob, she told her mother; "I am going to marry that man". Her mother told her she was being silly and that she barely knew him. I was right about the hair dye. When Sandie was 14 she had scarlet fever. She was born a blond but her hair turned black. From then on she dyed it. Bob now owns a small ranch and raises cattle. He's still close to his nephew who also ranches. He works part time in Las Vegas as an entertainer (of a sort) where he still keeps a second home. His daughter says her dad is a dreamer that succeeded at most of the ventures that he attempted. I'd love to hear Bob's story. He knows I have found his album but he hasn't responded yet. He's probably very concerned about who I am and why I am interested in him. He may wish to be private but he doesn't seem to be the taciturn sort. I have also made contact with the elder daughter. She works in Las Vegas. I could be touching on times she'd rather forget but they are behind her now. People's efforts to preserve the memory of their ancestors and put their family history online has ensured I can return the many photos of Robert's parents and his late wife Sandra to their heirs. There are many social, ethical and spiritual dimensions to this story which I have yet to explore and may want to discourse on later. While such curiosity has uncovered sadness, it has also uncovered joy and it has only been by waking people's curiosity that any progress was made. It is not trite nor too sentimental to say that the spirits of those we loved that have departed our lives have guided us here. p.s. Please don't lift any images from here for your blogs etc. These are not my images. 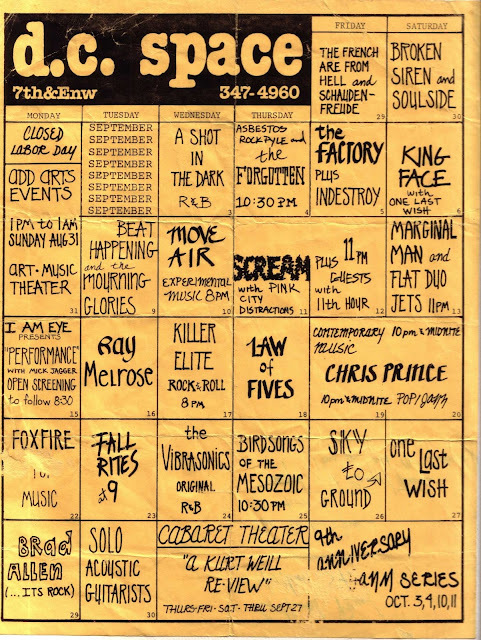 When I read in Slate and the Washington Post about Riot Grrrl bands playing in the "legendary d.c. space" my mind was cast back to a road trip from LA to NJ in 1986 in a 'Drive-Away' car with the writer Steve Morrow and photographer Alice Arnold. Somehow our setting off got delayed and our tight five day delivery window became three so our 2888 mile trek along I-40 couldn't allow any stops; a driver and navigator sat up front and one person slept in the back in shifts. After 24 hours of continuous driving we stopped exhausted in Memphis to pay our respects to the two kings: The King and Martin Luther King Jr. The Lorraine was still a motel then. We then encountered the proprietor of 'Decadence Mansion' and some of his friends which lead to dancing on the tables at Zinnies and a close escape from getting hauled into jail. I was pulled over and fined on the spot for a broken tail light so I'll never forgive Nashville. 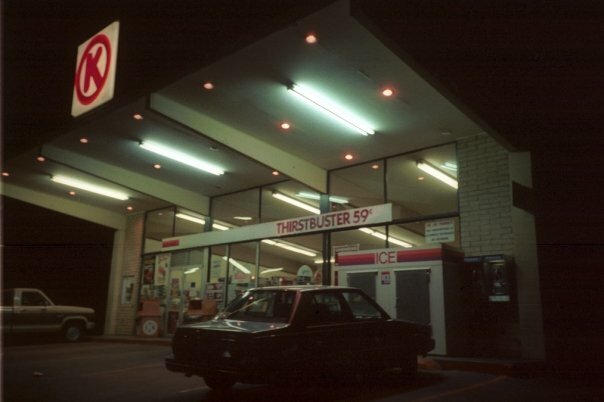 These detours demanded another long blast compressing Appalachia into a flashing series of Circle K's and 7-11's until this British, Australian and American joint enterprise wound up in D.C., mentally and physically discombobulated with our relationship as fractured as the tectonic plates beneath us. We asked the first non button-down person we could find where did the bands play and we were pointed here. 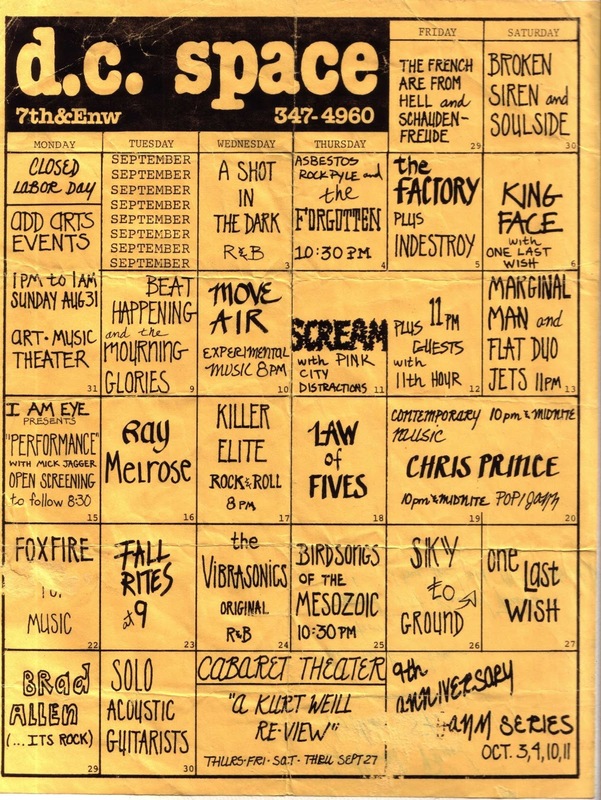 I don't recall who we saw or who any of these bands are but collectors of such trivia may be interested in this. Like Marty DiBergi said; "don't go looking for it, it's not there anymore". There's a potted history of the club and its founder and a large archive of photos taken inside the club too. A documentary on the Washington DC Punk scene is looking for funds on Kickstarter. As far as I can tell, only Brad Allen appearing on the 29th October is still working though I'm not certain it's the same one. It could be him if, like us, he was only in his twenties then. Alice split the party in D.C. and I dropped Steve in NYC to attend his interview at Columbia U and I went onto a small town in rural New Jersey to drop the car, an ex-Hertz rental, in a field with thousands of others. Waiting at a train station for an Amtrak to begin the journey back to LA with only $20 in my pocket and a cold wind biting and the intense fall colours burning my eyes was to be a Simon and Garfunkel moment about who I was and what I wanted to do with my life. It's Thanksgiving this weekend and that means for the USA 'Black Friday' the kick off of the Christmas shopping season. Here's a message to all the people everywhere that visit shops to decide what they want to buy then go home and buy it on Amazon or other online retailers or even use apps on their smartphones to buy it online right there and then. It's called 'showrooming' and it's killing both small and big businesses and the high street. 4 in 10 smartphone owners admit they've used their device in stores to compare prices on a product. Of those, 97% said they bought the product for less online. Jeez Louise, you spent all that time and money on parking, petrol or bus fares to get to the shop. Why don't you consider the convenience value of the £2 difference on that DVD for Aunt Mabel to be satisfied that the job's done? If you need to take it back it's probably a lot easier to take it to where you got it from and exchange it instantly then schlep to the post office and pay the postage. When the last of the independent retailers has gone bust and tumbleweeds blow down your high street, those bargains won't be online anymore. Without a thriving retail sector, your town won't be such a nice place to live, your home's value will have fallen and local investment will have dried up along with any well paid local jobs. Bricks and mortar shopping, such as it will be by then, will involve driving even further distances to out-of-town centres, costing you a fortune in fuel, along with increasing the commute to any employment people can find in the retail sector. That will probably drive more customers to do more shopping online so the vicious circle will increase to become a whirlwind of retail destruction. Small retailers can do and should do more things to provide services and offer features that online retailers can't but the big boys online have much deeper pockets and are in for the long haul to crush any competition. Naturally you can't find everything you want in your local shops, the rot in the high streets started a while back so there's a smaller range of goods available in the average market town than a decade ago, but if you go into a independent toy shop or even a boo hiss big-box retailer to check out a product's features and then abuse their hospitality to go buy it online, I think you deserve every karmic retribution. Plus we've learned recently some of those online retailers, unburdened by local business rates, are avoiding paying their corporation taxes too. Unless the public recognise the fact that buying online will cost them more in the long run than buying in a shop, it will be game over for many small businesses and small towns and much of the economy as a whole. There's very little legislation we can produce to protect the small independent retailer that won't stifle competition or reward failure but, just as most of us decide not to steal even when given a the opportunity, we should consider the morality of our conduct as it's the only protection they have. So this holiday season, have a heart and please support your local independent retailers who depend on this season to see them through. Or there won't be much to celebrate in their homes while you share the joy of getting the lowest price in yours. If you've ever wondered, the people in the iconic 1936 'Migrant Mother' photographs are Florence Thompson then aged 32, Ruby Sprague then age 5, and the baby Norma Rydlewski. In previous posts I have highlighted the range of coffee shops in Halesworth, Suffolk and suggested that the town council and business association should market the town's meeting and event venues. I don't have the time or all the data to produce a comprehensive list but here is a basic stab at it below. As far as I can tell there are 19 20 different venues in which regular meetings, indoor markets, activities (such as exercise classes), and performances are held around the town. Some venues such as the Rifle Hall and Old Print Works are quite basic but are flexible and affordable so they get used by events like the High Tide Festival as temporary performance and exhibition spaces. The recently closed Middle School awaits redevelopment meanwhile the classrooms, gym, assembly hall, kitchens and cafeteria have huge potential for imaginative temporary use. Some venues such as the golf club and the New Cut Arts Centre are already fully equipped to hold performances, weddings, activities, meetings or conferences which can be arranged with a phone call. If you represent any of these venues or want to list another I would like to compile a full list but I think this information is something that should be available on the town's existing websites, regardless if that venue is an advertiser or member or not. At the moment only the golf club and the Swan show up on a Google search for "meeting room Halesworth" but searches in other towns brings up far more comprehensive listings. I hope this basic information is enough to give you a lead on finding the place you need on Google etc. 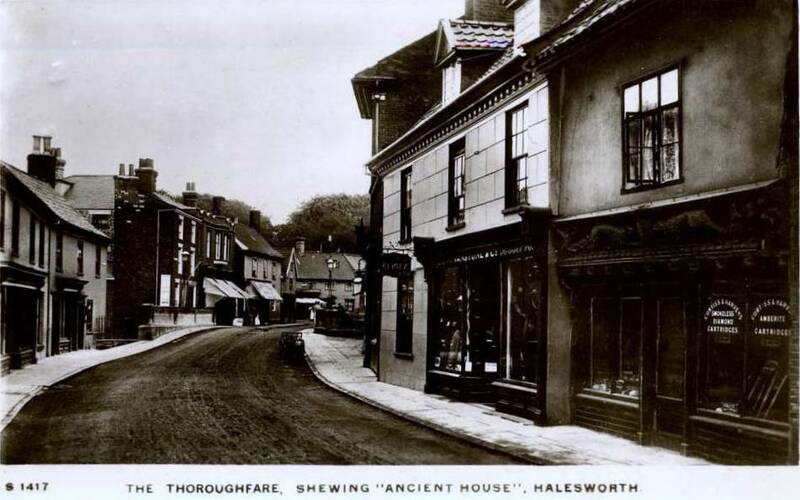 as Halesworth has many advantages for holding an event of any size. 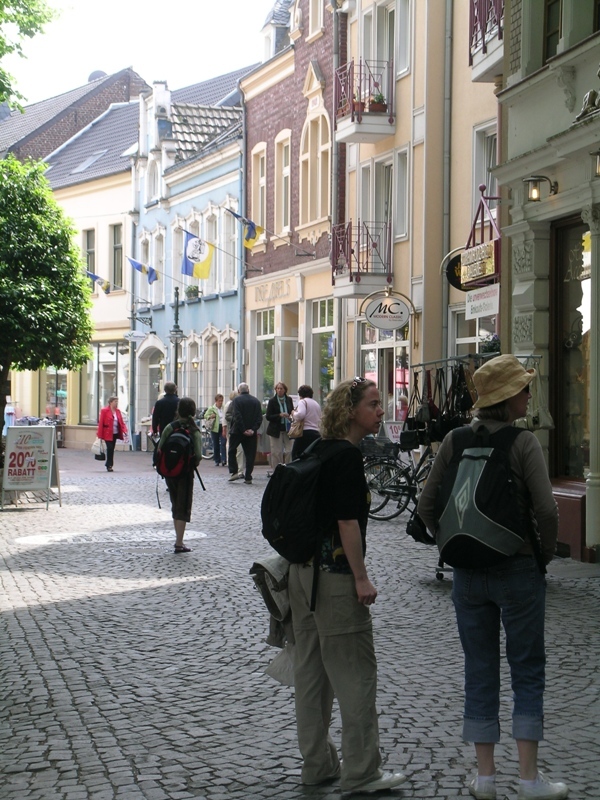 There is ample free parking in the town, lots of nice places to shop and eat and some good art galleries too. There are good bus connections and an hourly train service (from December 10th 2012) from Lowestoft and Ipswich. All of the locations on the map except the golf course are served by the 511 'Hoppa' bus which can also be hired to provide a shuttle service. For more information you could try the clerk to the town council as well. White Swan Pub IP19 8LH tompkinssteven@aol.com 01986872273 function room with capacity for 100, licensed. A few reference and history notes on the pedestrianised street The Thoroughfare in Halesworth. I found this logo on a few documents but nowhere on line. Where can you get a eps or jpeg of it? What is the point of spending money on logo design and branding if no one is able to use them and they're not used consistently. 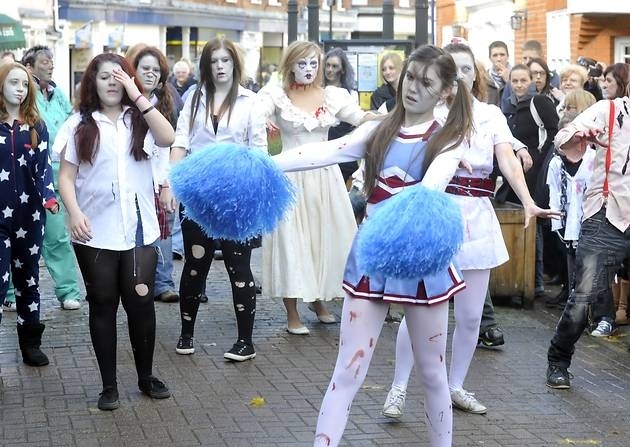 The town was unsuccessful at getting £100,000 of the Portas Towns Project money in June 2012 but a smaller grant of £10,000 was awarded in the second round though accounts of what it was or will be spent on are not known. A video for the bid was produced. Plaque above Focus Organics George Lansbury was born on Feb. 21 1859 in a toll keepers cottage on the Bramfield Road at the Mells crossing to George Lansbury and Mary Ann Ferris. His father was the timekeeper of a gang of navvies building the East Suffolk Railway. The railway workers moved camp as the line progressed. The toll keeper Robert Clarke took pity on Mrs Lansbury's condition and provided his cottage for her confinement. 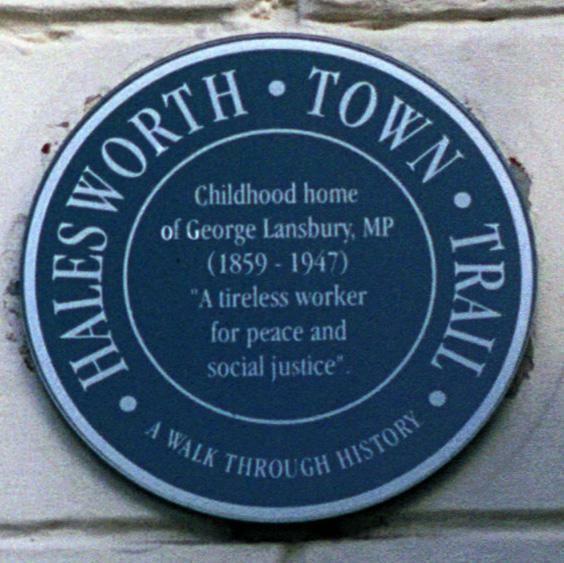 George was baptised in Halesworth church on March 13 and his parents registered their abode as 'The Thoroughfare'. Their purported temporary lodgings are marked by a plaque. Shortly after his birth his family moved onto his father's next contract at Sydenham, near Penge. After many years of this nomadic life, the family settled in East London when George was nine. 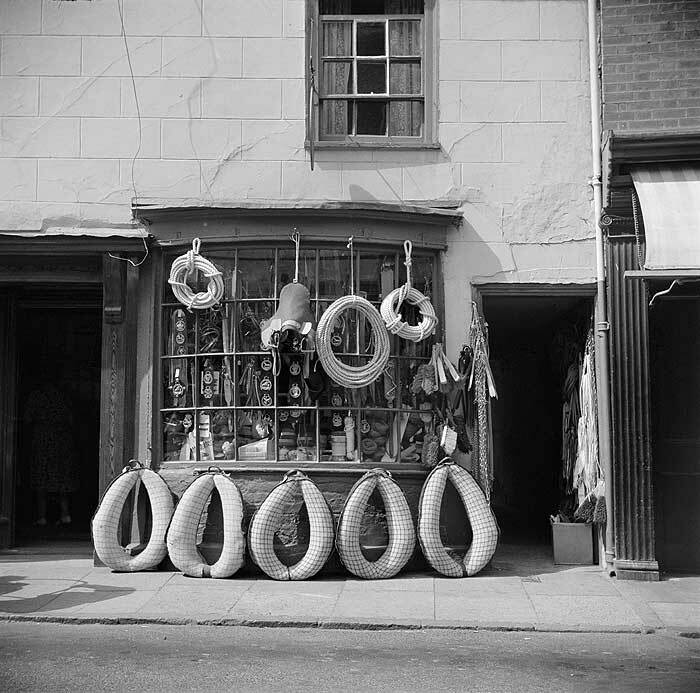 Now occupied by the Bay Tree Bistro, number 6 is known as 'Ancient House' and was a gentleman’s outfitters and school uniform emporium in the 1950-60's. It was thought to once be the home of Margaret De Argentein. The shield would have had their coat of arms. The unusual carving at first floor level is called bressumer. It rests on the joists of the first floor. The left hand figures are almost certainly Ganymede, holding a cup or glass, being seized by Jupiter, in the form of an eagle, to be cup bearer to the Gods. This neatly parallels the role of cup bearer at Royal coronations held by the Argenteins until 1424 and by the Allingtons until 1706. The figures on the right are less obvious but probably depict a scene from the Reynard the Fox stories which were popular in the Middle Ages. Thoroughfare looking south to Bridge Street. 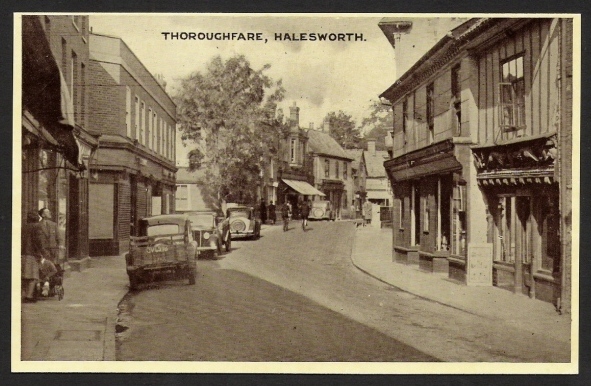 The Thoroughfare was pedestrianised in 1989. Until that time all traffic used to pass through this street and often lorries would get stuck under overhangs. Another scion of Halesworth was Benjamin William Botham who was born in 1824. 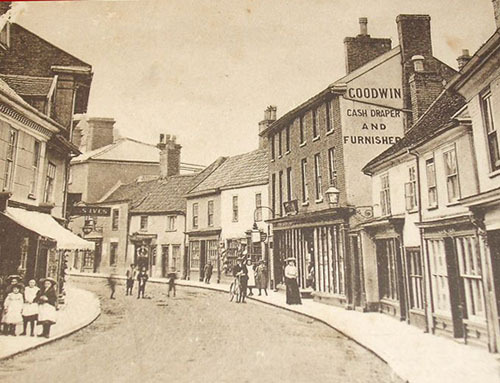 He came from a family of local tailors and drapers and by the early 1850s he was living in Bridge Street, a married man with children and employed as linen and woollen draper. Around 1856, Benjamin Botham decided to give up the drapery trade to become a travelling photographer. By 1857, he and his wife and children had reached Derbyshire and established a photographic business. By the end of 1859, Benjamin Botham had returned to Halesworth where another child was born. The family then moved to the Sussex coast where he hoped to continue his photographic career. 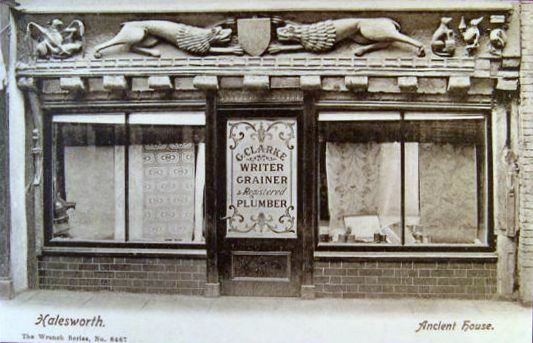 He was successful and by 1868 he had sold his photography business to become the proprietor of The New Oxford Theatre of Varieties in New Road, Brighton. 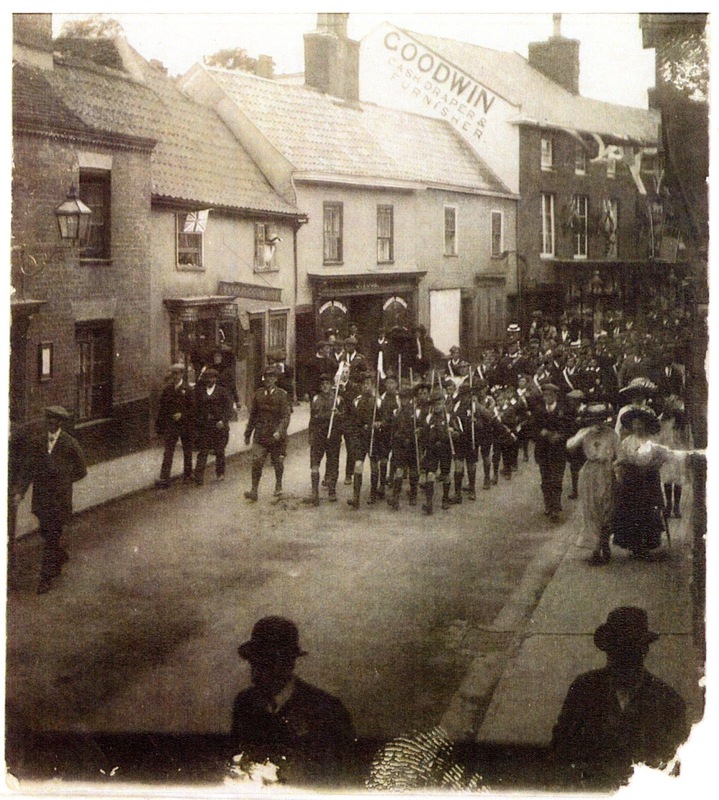 A detailed biography of him is on the Sussex Photo History website. There are textile factories winding and weaving silk, and manufacturing drabbett cloth from cotton and linen; there are several clothing factories, a number of iron foundries, and factories building coaches or making agricultural implements. Dressmaking and millinery form a large proportion of the workshops. (A workshop is a manufacturing establishment that employs less than 50 hands.) Inspectors have the power to enforce regulations in dwelling houses where the occupier carries on a business and employs protected persons - children under 13, young persons 13-18 and women, in a handicraft. In the principal occupations of the Halesworth area the hours of work are less than 60 a week, and not more than 10 hours a day. Since the passing of the Workshops Regulation Act of 1867, a prosperous time has elapsed. Many servants have become masters, competition is at its keenest, while machinery supplements hand labour; machines are improved on every year. In clothing and boots and shoes workshops the hours are 8 am to 6 pm, or 8am to 7 pm, with Saturday to 1 or 2 pm. In the workshops of dressmakers, milliners and tailors some have asked for permission to work overtime. If children are employed they cannot work for more than 6 ½ hours a day. No children under 8 are to be employed. There are generally to be found in towns three classes of trades men in each business. (1) The first class enjoys the favours of first class families, opens later and closes earlier than the others. The first class shops are more spacious and better ventilated. (2) Seeks for ready money customers among the class who can afford to purchase a good article. He keeps open to give customers the opportunity of shopping after 6. (3) Catches the multitude who from habit will not shop till late in the evening. The hours of labour in shops engaged in drapery, millinery, haberdashery, fancy goods, ready made clothing and grocery are 7.30 am to 8 pm; 8 am to 8 pm and 8 am to 7 pm with a short day once a week. On Saturdays the shops keep open till 9, 10 or 11pm and on market days the same. Breakfast time is generally 30 minutes, dinner 20 minutes and tea the same. On market days during the season there is no time for dinner. In agricultural town the farm labourers and cottagers come in about 2 or 3 pm; they wander up and down for hours visiting houses for refreshment and drink, and begin shopping about 8 or 9 pm. More money is taken in the third class businesses on a market day or Saturday from 8 pm to 11 pm than during the day.Drapers employ 3 women for every man. Great improvement has been effected in the employment and treatment of females in shops. Children are generally employed as errand boys, they begin first and leave off last and are put to all sorts of work and receive little education. The Angel Link follows the line of the former Angel Yard and Angel Lane. It required the demolition of the Corn Hall (originally a maltings and finally a dairy) and the loss of a bowling green to the carriageway and car parks. Its construction has had a substantial impact on the historic urban grain of the area, opening up the rear yards and gardens at the southern end of The Thoroughfare with views of the sides of buildings and leaving others isolated. In particular this massive development involved the demolition of cottages and commercial premises on Angel Corner thrusting a massive plain gable end into the view of people walking up The Thoroughfare to the Market Place. The major justification for the The Angel Link was to take traffic from the west smoothly through the town. In this respect, it can be argued that this objective has now been met more effectively by Roman Way, the ‘Chediston St bypass’ constructed at the start of the millennium.